WAG is celebrating 30 years of service to the community. Lori Grove, president of the Maxwell Street Foundation, chronicles the history of Maxwell Street, its neighborhood and market, using rich visual images, interpretation, and anecdotes. Hot chocolate, coffee, and tea taste so much better in a mug you’ve designed yourself. Using WPL’s vinyl cutter and special software, design a stencil and use it to etch your own mug. Please be aware this program meets in the Youth Program Room and not the Teen Room. Please register in person at the Youth Services Desk or call 847-256-6945. .
Be a part of Wilmette tradition to help plan the design for WPL’s beloved Summer Reading Club booth, which the Kids’ Library Council will paint in May. Registration required. Register in person at the Youth Services Desk or call 847-256-6945. Calling all teachers, parents, and caregivers. Join WPL staff for a crafty workshop to make portable flannel boards, stories and games. Flannel boards make wonderful teaching aids as well as great tools for imaginative, independent play. Registration required. 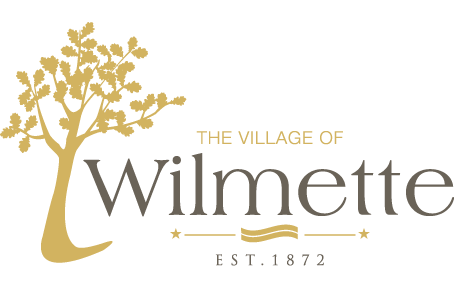 Wilmette and Kenilworth residents beginning Thursday 3/28; non-residents Thursday 4/4. Design, test, and battle catapults with different materials like marshmallows, cardboard tubes, and more. Registration required, beginning Thursday 3/28 for Wilmette and Kenilworth residents; non-residents 4/4. Register in person at the Youth Services Desk or call 847-256-6945. Chicago Architecture Center docent Kathleen Carpenter discusses how the World’s Columbian Exposition served as a showcase for the women who created, managed, and decorated the Fair’s Woman’s Building, detailing some of the women as well as their challenges and achievements. Make the most of rainy weather by personalizing umbrellas, crafting rain sticks, and making rain gauges and other rain accessories. Registration opens Monday, April 1. Register in person at the Youth Services Desk or call 847-256-6945. Drop in for a new service project each month. This month, celebrate our community helpers by preparing thank you cards and gifts for International Firefighters Day, Teacher Appreciation Week, and National Police Week. Decorate an umbrella with your own design using WPL’s vinyl cutter and design software. Materials provided. Registration opens Wednesday, April 10. Architectural historian and historic preservationist Timothy Wittman offers insight into the multiple ways that the World’s Columbian Exposition influenced the future of architecture, urban planning, and landscape design throughout the U.S. and the world. Adults meet at Wilmette Public Library, 1242 Wilmette Ave., Wilmette for bus transportation. A tour of Chicago’s historic Driehaus Museum, which explores the art, architecture, and design of the late 19th and early 20th centuries, with a focus on the Gilded Age. Bus transportation will be provided to and from the Library. In-person registration is required, and the fee of $25.00 is due at time of registration. Priority registration for Wilmette and Kenilworth residents begins Monday, April 1. Non-residents may register beginning Monday, April 8. No refunds, and seating is limited.